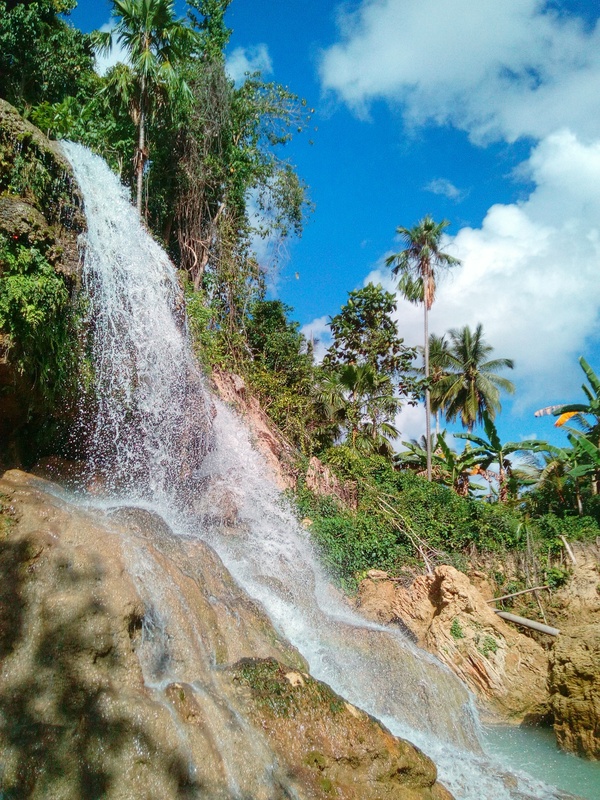 It has been about 2 weeks since we last visited some waterfalls in Malabuyoc and Alegria — municipalities in the Southern part of Cebu. Chasing waterfalls as we call it seems to be addicting. 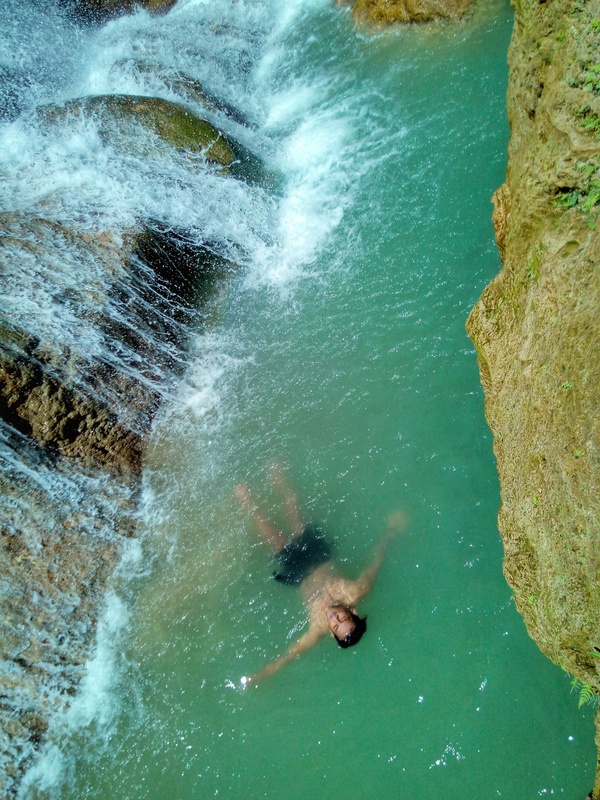 There’s something about the waterfalls that it induces adrenaline rush in my body especially when I’m walking on a cold-rocky streams, climbing the big rocks while the cold water flows through my body.I was glad we are going to chase some waterfalls again. This was not really well-planned as I always get a little notice from my travel buddy Elei (the travel expert). I know we are going to Ronda but I didn’t asked what is the name of the waterfall and didn’t even bother to research about the place in Google as I wanted to be surprise. Sometimes letting life take you where it wants to go works out well. However, planning is still necessary when your time is limited. The long 3-hour travel didn’t seem to matter at all as we enjoyed the scenic ocean and mountain view along the way. Not to mention the fresh air on a morning bus ride. 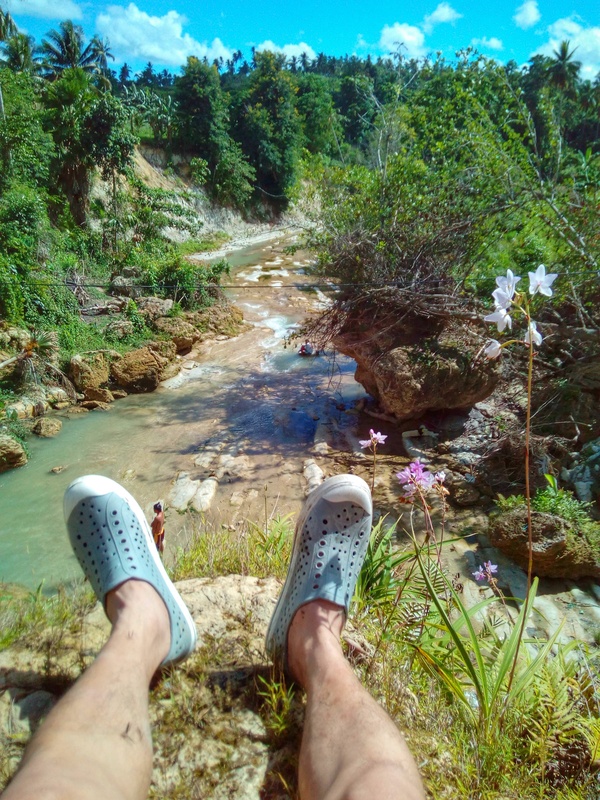 From the Ronda proper, we took another ride — habal-habal (local motorcycle ride) going to our first destination which is the Lusno Falls, about 6 kms away. We arrived in Barangay Langin and a narrow road leads us going to the drop-off point. 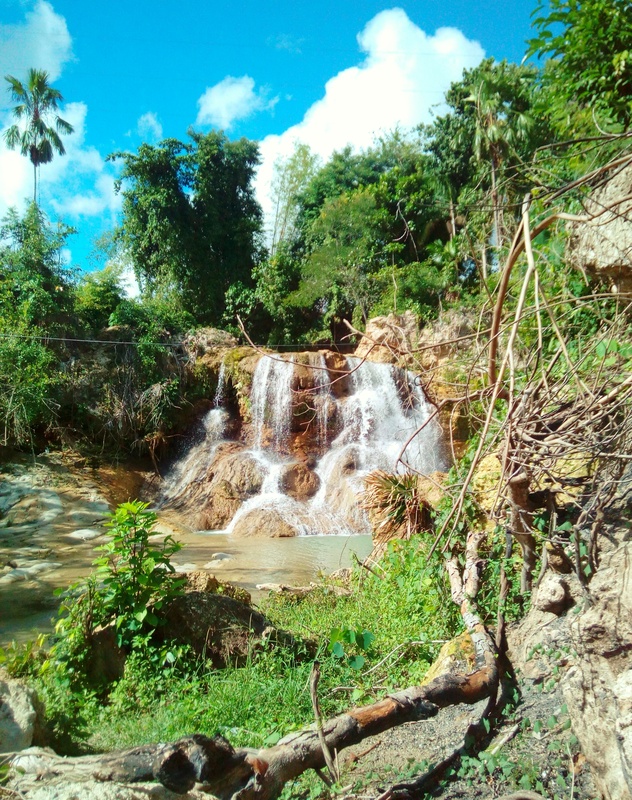 A 5-minute walk brought us to a cliff where we got an excellent view of the waterfall . That was a perfect summer moment. 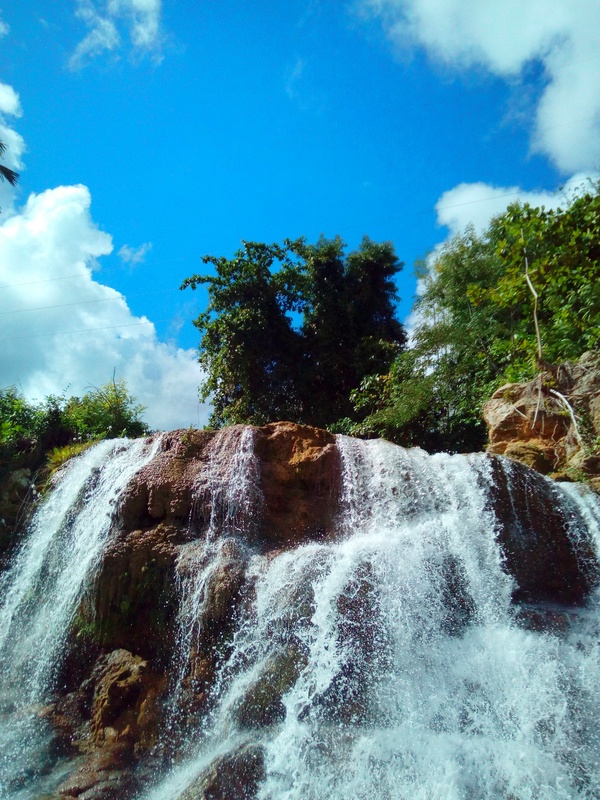 The place is surrounded with trees, the sun is up and the view of the cascading water from the highest part of the waterfall is quite a sight to behold. The sound of the cold water rushing over rocks is just so good that I just want to swim the whole day. 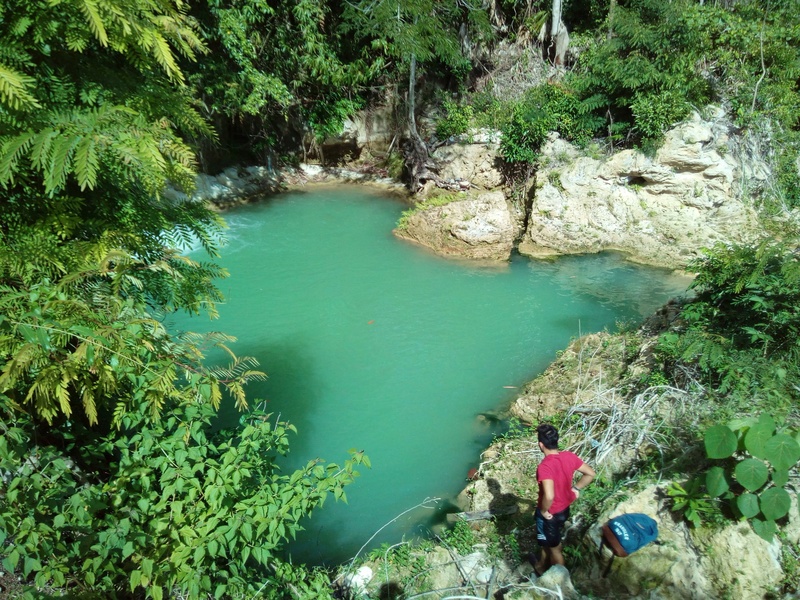 Above the waterfall, there is a small dammed plunge pool with a crystal blue-green cold water. Above all, I like the feeling of being in an infinity pool. Yes, I call it the natural infinity pool above the waterfall with a great mountain view. How do you like that? Ronda has been blessed with this wonderful Lusno Falls. 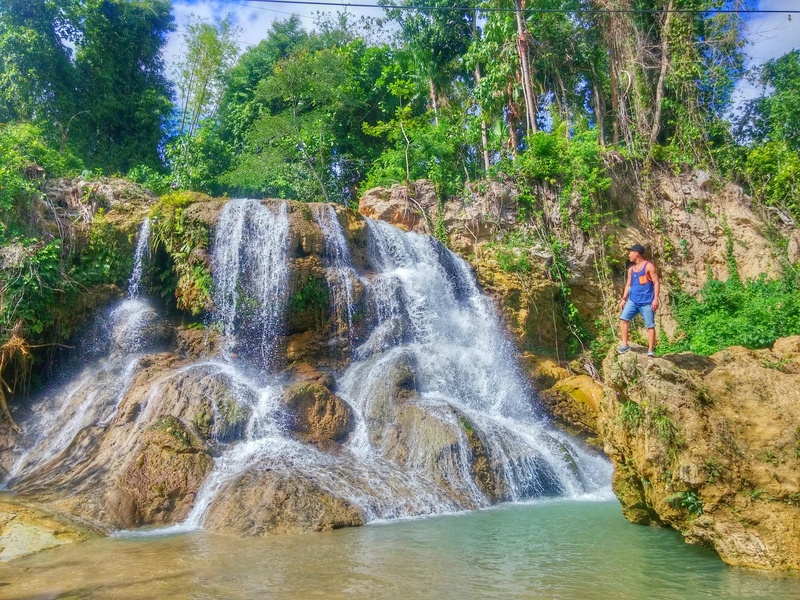 We saw a couple of locals washing clothes beside the cold-flowing stream while their kids are swimming at the bottom part of the waterfall where the falling water rushing down creating bubbles. 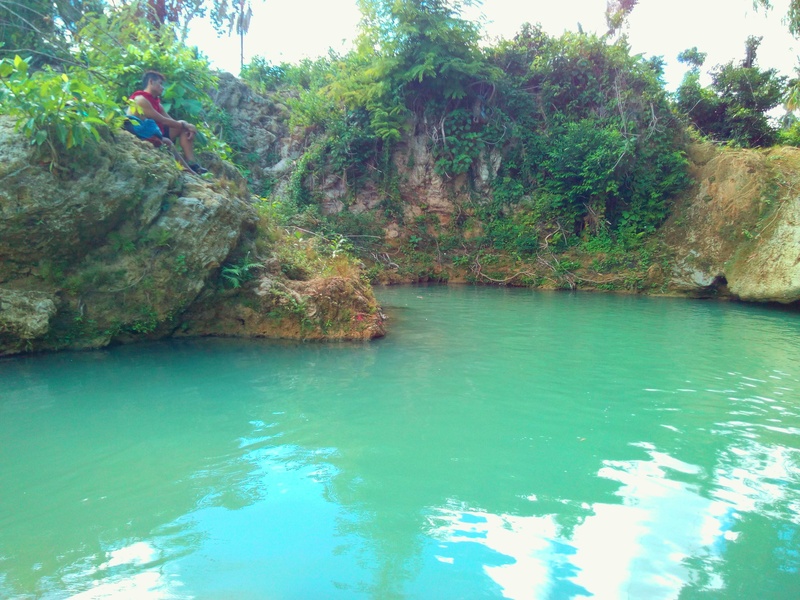 Just like any other trip, it’s time for us to leave the place for the next destination — Butong Spring. Stared closely at the Lusno Falls as I bid goodbye and as I walked away the noise of the rushing water subside. I still ventured one look back over my shoulder. The shaded waterfall flashed silver one more time. It is sure the majestic beauty of the falls followed me all the way home. 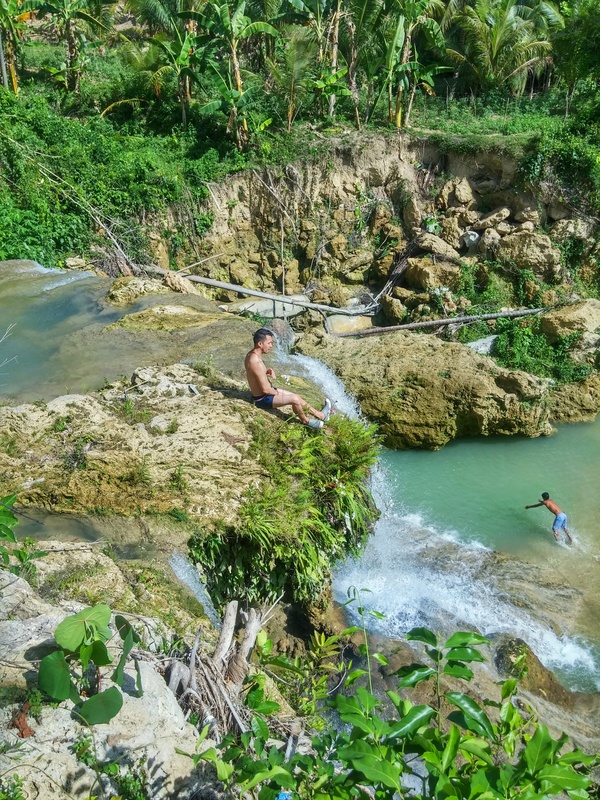 Take a bus ride from Cebu South Bus Terminal to Ronda. The fare is around Php 80- Php 90. Tell the bus driver to drop you off in Ronda proper. From Ronda proper there are motorcycles (habal-habal) that can take you to Barangay Langin. You can give them Php75 pesos for the fare. At first they asked us Php100 but we haggled and the driver said yes to the Php75 fare per person. Just tell the driver to bring you to Barangay Langin basketball court. There’s a narrow road on the left side of the court. Just follow the route until you reach a place where there’s a small house and you can stop from there. I’ts about 3-5 minute walk to get to the falls. It surely is lovely 🙂 Thank you. what a beautiful place! is the narrow road safe for a car? is there a place we can park? Gnhan kaau mi mangadto but nagwonder mi asa safe e park ang sakayanan. I’m planning to go there this Wednesday but what if it rains? Is it safe? Anyway, You took some beautiful pictures here. Thanks for sharing. You’re welcome. It’s a nice road going to Brgy Langin. I can say it’s safe. Take note that the road that you’ll be taking is like the Busay road going up 🙂 Hope you have a safe trip and enjoy! I seriously want to live in Cebu for a month or two. 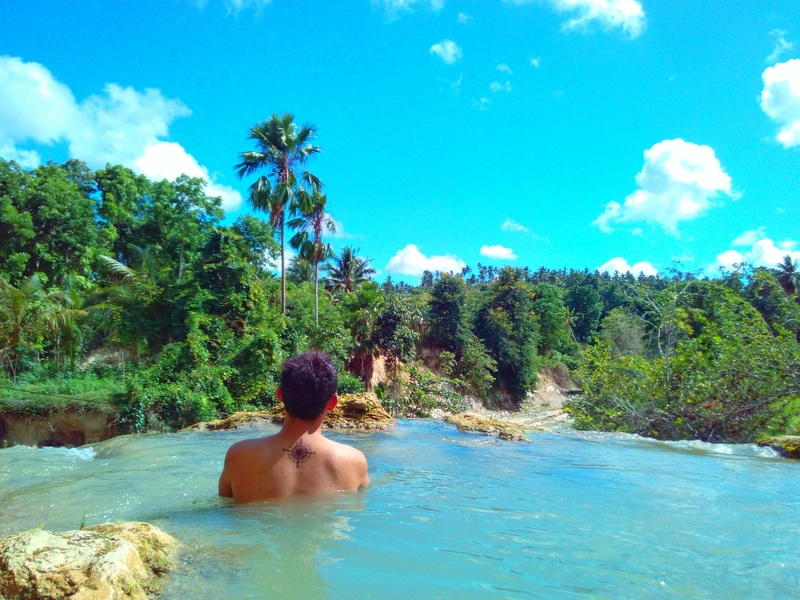 I backpacked Southern Cebu last May and fell in love with it. I can’t believe it took me three visits to Cebu before I discovered the gems. You’re so lucky!! Well that would give you a lot of time to tour around this awesome place! 🙂 You gotta be back then. Very beautiful waterfalls, and thank you for the directions. We will definitely visit here soon. Wow, who would have thought that Ronda has this Gem. Thank you for this! I’ll surely visit this falls soon. yes its a unique kind of waterfall plus if you’re luck you can have the place all yours for a day as it is not really a visited place, some locals though. hi is there any place to stay there?? I added this to my list on things to do in Ronda.